Time for FASFA Forms… We Can Help! States also have financial aid programs, especially for residents attending in-state public colleges. To apply for state financial aid you must submit your FAFSA first. Keep in mind each state might set its own FAFSA deadline for incoming college students. Find your state’s deadline HERE. College tuition and financial aid is a huge component of your financial plan. We are happy to help you with the application and with every step of your financial journey. 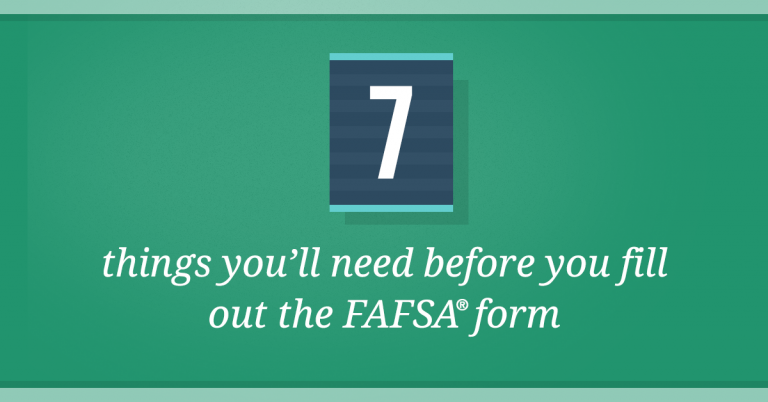 The US Dept of Education has created an easy to follow 7 Step Checklist to get you started.